Lock in a great price for Semiramis Hotel - rated 8.4 by recent guests. Very friendly & helpful owners/staff. Excellent location, clean and comfortable rooms and bar/lounge areas. Very hospitable staff, Extremely nice and cozy place to be. Amazing room... Overlooking the pool and was turret shaped, so made you feel like a princess!!! All rooms of Semiramis are fitted with wooden floors, soft colours and dark-wooden furnishings. Each unit includes a flat-screen TV and a private bathroom with shower or bath tub and free toiletries. Some rooms open out to a balcony. Guests can relax at the blossomed sun terrace or enjoy activities, such as hiking and cycling in the area. Semiramis Hotel is located 23.6 miles from Limassol and 32.3 miles from Paphos International Airport. 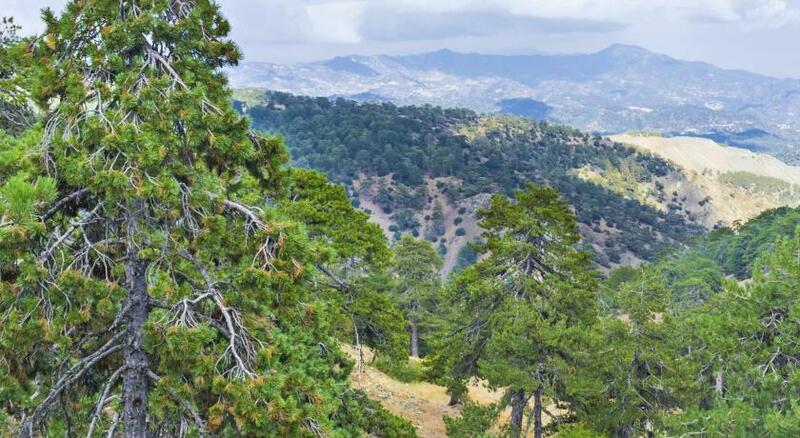 Troodos Ski Centre lies within a 10-minutes’ drive, while the famous Troodos Waterfalls are at 1.2 miles. Free public parking can be found on site. This property is also rated for the best value in Platres! Guests are getting more for their money when compared to other properties in this city. Semiramis Hotel has been welcoming Booking.com guests since 17 May 2013. When would you like to stay at Semiramis Hotel? Fitted with wooden floors, soft colours and dark-wooden furnishings, this room enjoys views over the lush surroundings. It includes a flat-screen TV and a private bathroom with shower or bath tub and free toiletries. Please note that extra beds are roll-away beds and cannot be accommodated in all rooms. Extra beds can be available upon request and are subject to availability. House rules Semiramis Hotel takes special requests - add in the next step! Semiramis Hotel accepts these cards and reserves the right to temporarily hold an amount prior to arrival. Please note that extra beds are roll-away beds and cannot be accommodated in all rooms. Extra beds are available upon request and are subject to availability. Guests are kindly requested to pay in cash. The Indian staff was very relaxed ... so if you want to pay & check out, find them in the restaurant and allow them plenty of time to finish their coffee. :-) There was the atempt to apply a 3% surcharge for credit cards. Whilst the Hotel could be described as rustic it is in need of redecoration and updating. Poor breakfast , dirty dishes&cups , small sitting areas if you want to stay and chill out to the hotel ! Old beautiful building but neglected ! Some decoration is required to freshen up the rooms & hotel. Poorly lit reception area does not give a good first impression. Short bed so you cant sleep comfortable if you are tall; bad pillows- very small and very soft; very small shower- you can hardly get in to wash; poor breakfast, dusty floor in the room; no reception on full time- you need to scream on the stairs to find someone; dangerous stairs to go to the rooms at minus 1 or to the restaurant at minus 2 floor; smell all over the building from the kitchen. The breakfast can be improved to a higher standard, but it was satisfying. The area doesn’t have a lot to do and many cafes or shops to visit and it’s quite isolated I could say. This can be good if you want to distance yourself from the busy city life. 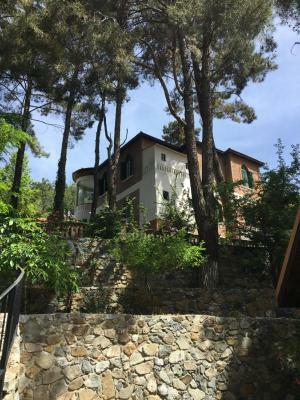 However it is close to Troodos and Omodos that can be entertaining and are about 15 mins car ride away. Cute bedroom with great view the nature of Platres. 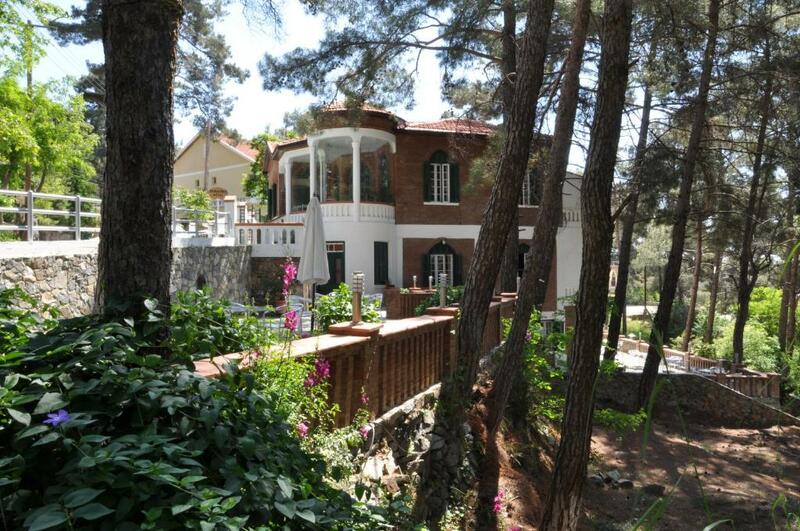 The hotel has the cosy atmosphere of a home and it is ideal for relaxing in the cold Winter days. The fire place in the communal area is great to make new friends and enjoy a drink. Great for couples. Very uncomfortable bed. Smelly room. Poor breakfast. Needs further renovation.